You have exceeded your online recall limit. 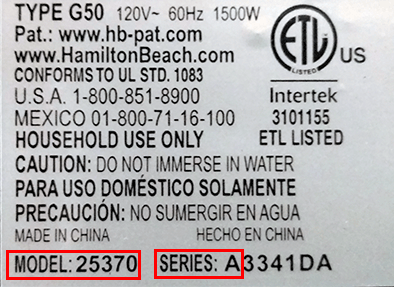 To request a replacement toaster, please call Hamilton Beach toll free at 1.800.574.6800 anytime for instructions on how to participate in the recall. In Canada, please call toll free at 1.800.267.2826 from 8 a.m. to 6 p.m. Monday to Friday and 9 a.m. to 5 p.m. on Saturday EST.